Tomato Leek Soup - Recipe! - Live. Love. Laugh. Food. 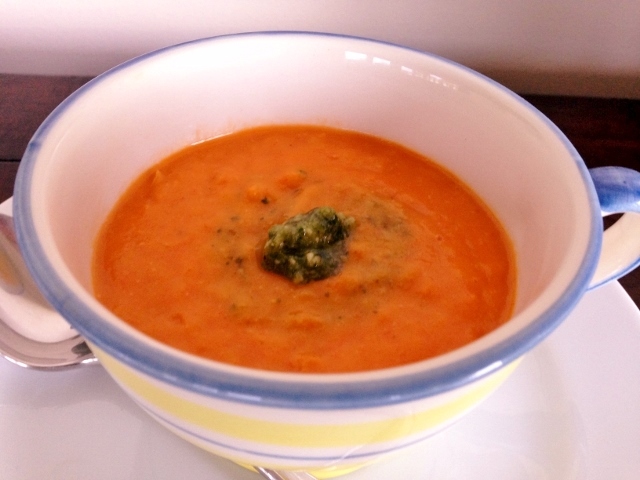 Tomato Leek Soup – Recipe! Tomato soup was not something I was raised on, but I know many friends who were avid lovers of tomato soup. 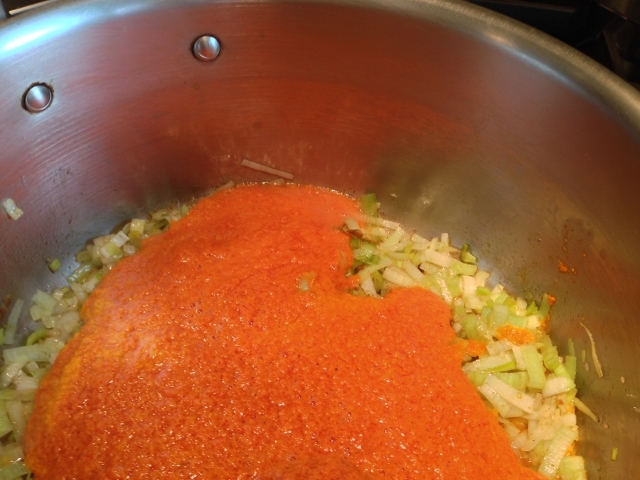 I have heard many conversations about how good a bowl of Campbell’s Tomato Soup tasted with a warm grilled cheese for dinner, and I agree, it does sound very appealing – I just prefer to prepare my own with fresher ingredients. Tomato Soup is divine when using fresh tomato puree, however I know many of you don’t have the time or interest to grow and process your own tomatoes. 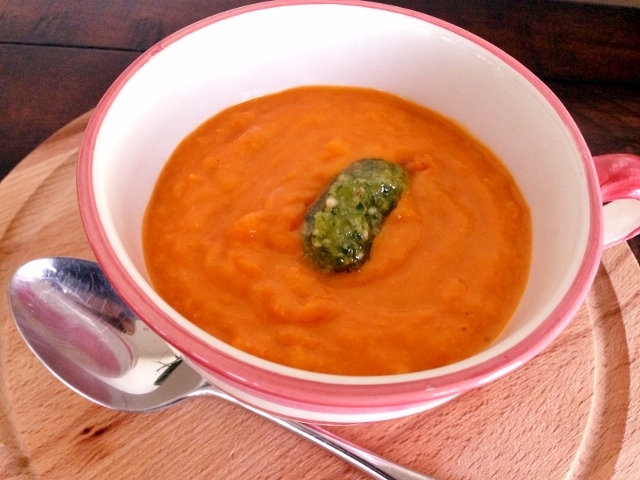 So, I made this recipe easy using good quality tomato puree – it tastes just as good as fresh, and makes a heart-warming bowl of spring splendor. 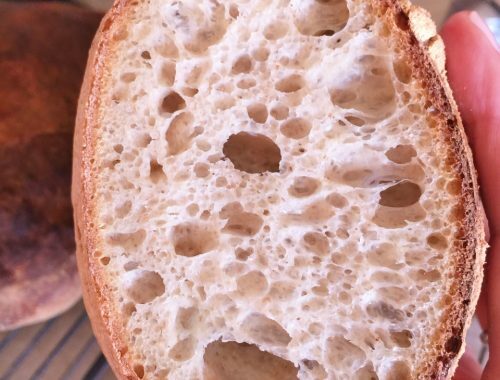 This recipe is super simple because it has just a few ingredients, most likely in your pantry. The leeks add an extra creamy texture and the fresh dates, a natural sweetness. 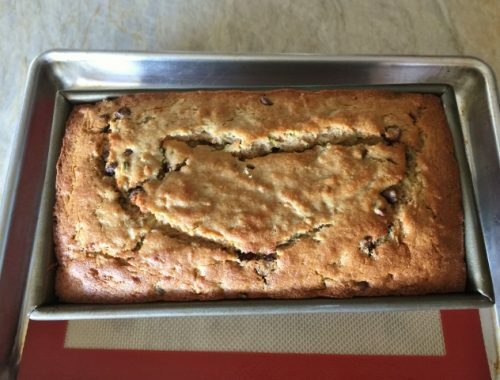 The flavors are delicate – truly comforting, especially nice while anticipating a pleasantly warm summer. 1. 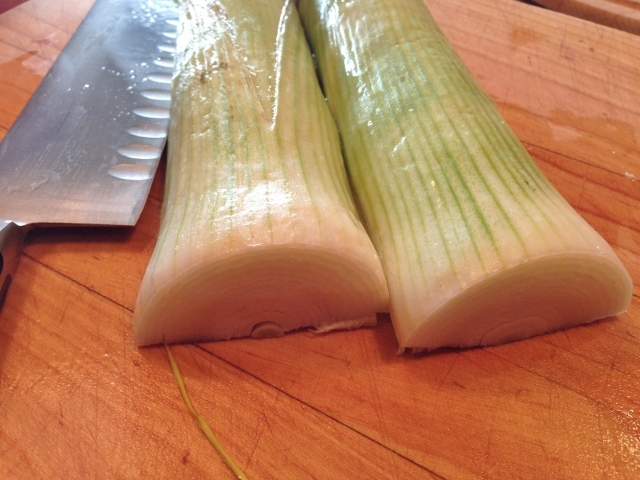 Slice leeks in half and rinse well under water. Slice halves into 1/4 inch half-moon pieces, 2/3 up stalks only. 2. In a large pot over medium heat, add 2 tablespoons olive oil. 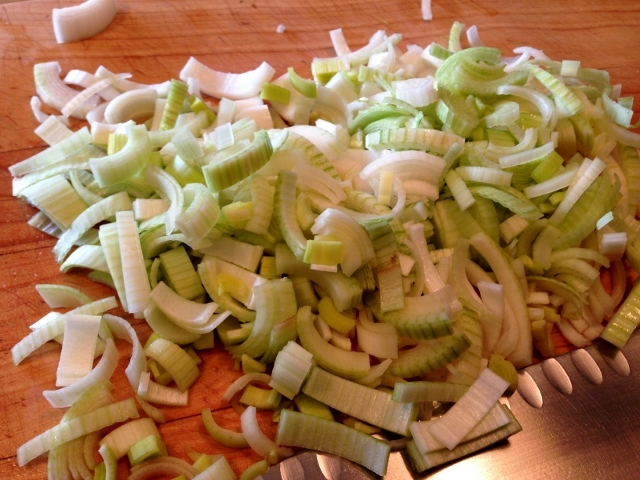 Add leeks and saute for 7 minutes until softened. 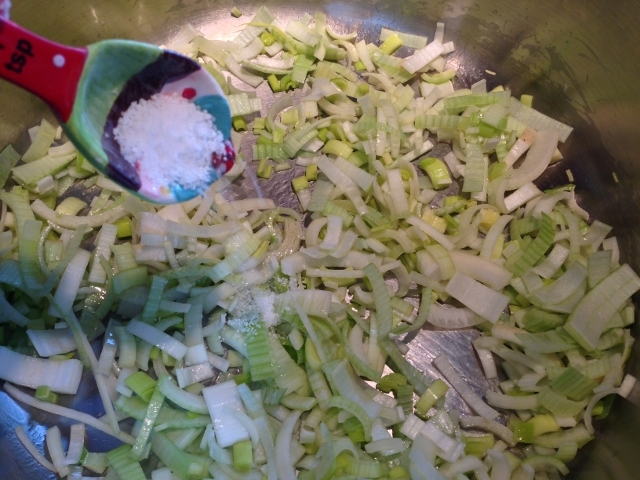 Add 1/2 teaspoon of salt and 1/4 teaspoon of pepper to leeks, and stir to combine. Add tomato puree and a 1/2 cup water, stir to combine. Cook soup for 8 minutes, stirring occasionally. 3. Add dates to soup and stir, cook for 5 minutes. Add coconut milk and stir until combined. 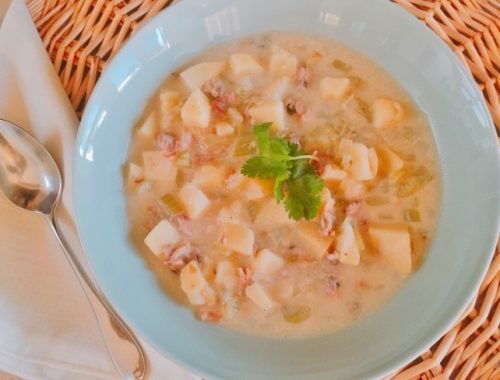 Cook soup for 2 minutes and turn off heat. 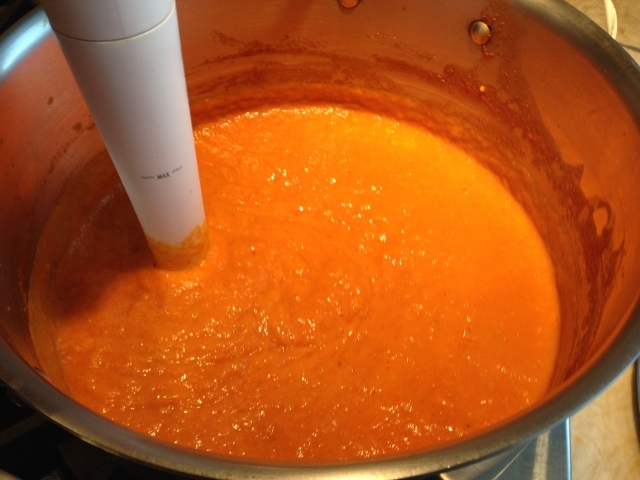 Puree soup with immersion blender, or in batches in a regular blender. If soup is too thick, add water as needed. I like mine slightly thick and chunky, so I can taste the texture of the leeks. 4. Ladle soup into bowls and dollop with pesto for added flavor and a touch of color. 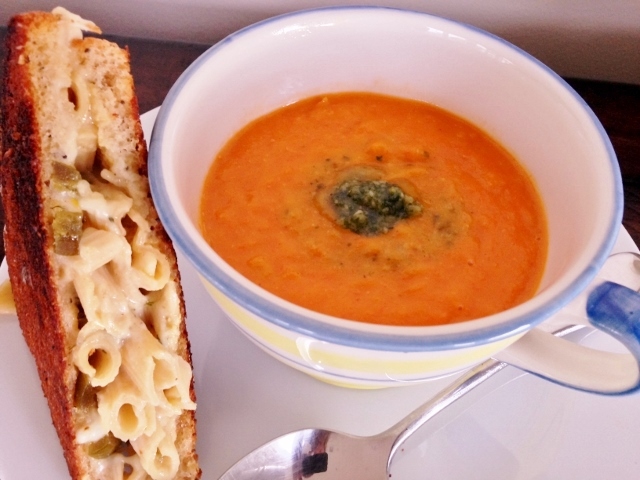 Tomato Leek Soup is nice with my Mac & Cheese Grilled Cheese Sandwich recipe. Enjoy!